You are probably familiar with Venus from Roman mythology as the goddess of love, beauty and earthly pleasure. She has been depicted in art across the centuries as an icon of femininity and romance. In astrology, Venus rules love, beauty and luxury or wealth and every 18 months when Venus stations retrograde for a period of approximately 40 days, her energy is focused on ‘looking backwards’ and looking inward. In the normal course, Venus represents generosity, the sweetness of life, and the experience of love being received from the divine realm. As Venus moves forward through the zodiac, she brings gifts and sweetness wherever she goes, softening tensions and lifting our spirits. But when Venus is in its retrograde cycle, this energy is reversed, and so this can be thought of as the time when the ‘dark side’ of love reveals itself more strongly. Instead of experiencing Venus’ usual generous and empowering energy, the retrograde period can instead bring feelings of fear, jealousy, possessiveness, revenge and infidelity. It’s almost as if love from the divine realm is withheld during Venus retrograde, and so during this time is when it is most important to realize that we have the ability to love ourselves in order to feel whole. Venus Retrograde can be a difficult time especially for relationships so here are 6 tips for getting through this time. 1. Be prepared for the weak areas in your relationships to be felt more strongly during this time, including the experiences of insecurity, jealousy and fear. Issues that have been present, but unaddressed or unresolved can suddenly come to the surface and become the source of conflict and frustration. 2. It helps to be mindful of your own impulses during this time and whether or not they are coming from a place of not feeling loved or not feeling worthy. Venus in retrograde brings up these feelings for us and those are typically what cause the ‘dark side’ of her energy to come out. Have compassion for your partner as well; as you find yourself entrenched suddenly in an argument, or on the other side of a lost temper, remember that there are always underlying factors of which anger is merely a symptom. 3. It is good to spend more time with your romantic partner and in some cases this is a time when the spark can be rekindled in a relationship. Although weak spots in the partnership are being felt more strongly, it gives us an opportunity to work through these issues and to come to new solutions and new compromises. This is a time when long-standing issues can finally be resolved and a time to work through the process of forgiveness. 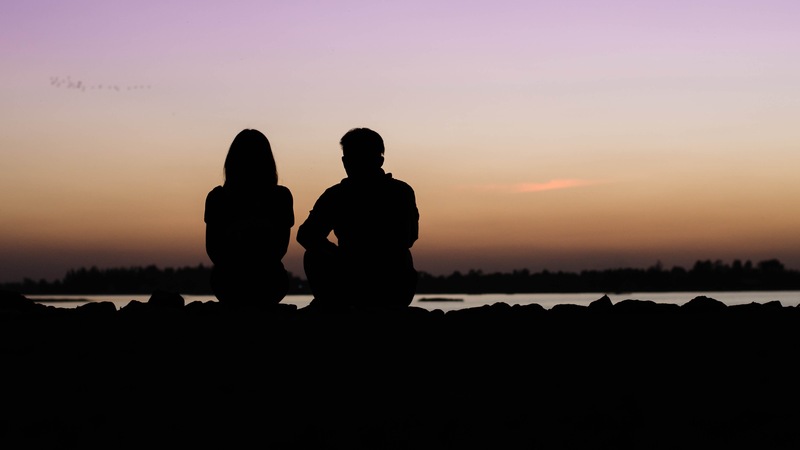 Listen to your partner, and be open to truly expressing what you want and need; allowing yourself to experience vulnerability now even if you have been feeling guarded and resentful. When we feel insecure, we build walls around ourselves to protect against hurt and disappointment. On the other hand, being emotionally open and honest gives you a chance to release pain, to forgive and to rebuild trust, and this is exactly what the energy of Venus Retrograde is encouraging us to do. 4. Be open to change as during this particular Venus retrograde we are also experiencing an astrological opposition between Jupiter in Libra and Uranus in Aries which brings our attention to personal changes we may need to make in order to enable greater harmony in our relationships. It can represent recognizing the need to shift your point of view, your perception of your own self image, or your priorities or to create more balance between your relationships and your other goals. It emphasizes the need for compromise and the need to take responsibility for the ways in which our actions influence our partners. This energy is a theme that presides during most of 2017 (beyond the timeframe of Venus Retrograde) but it will be felt particularly strongly during the month of March (and again later in the year in late September so stay tuned!) Be open to personal change as a possible solution to compromise and think about where in your life you can bring more balance (potentially letting go of something that just doesn’t fit with your overall goals) to achieve greater success. 6. Venus retrograde can also be a time for assessing prior relationships that have now ended. This is a great time for gaining perspective and for finding closure through forgiveness. The energy of Venus retrograde can literally bring ‘ghosts’ from our past into the picture so you may suddenly cross paths with an old flame that forces you to face a previous relationship. It can bring the unresolved emotions and ‘trauma’ from old relationships rushing back, but remember that the energy of Venus retrograde gives us also a newfound perspective. You are stronger now and you can show more compassion for yourself and for the other person, which can bring the healing that has been needed to truly let go. This is a time to release the emotional experiences that no longer serves us in love and to make space for something new to meet with us down the road. Like this article? Sign up for my FREE email newsletter for more Astrology and mindfulness updates! Want to learn more about how Astrology impacts you? Check out my offerings for a personalized reading! Or click here to read some of my recent testimonials!